THE FACTS – OFRANEH Coordinator Miriam Miranda, has received a subpoena from the Public Prosecutor requiring her to appear in court next Thursday, March 7th, in Trujillo, Colón.The summons does not make clear in which case nor in which capacity she is being subpoenaed; it only specifies that she is obliged to appear under the threat of a criminal penalty in case she does not do so. 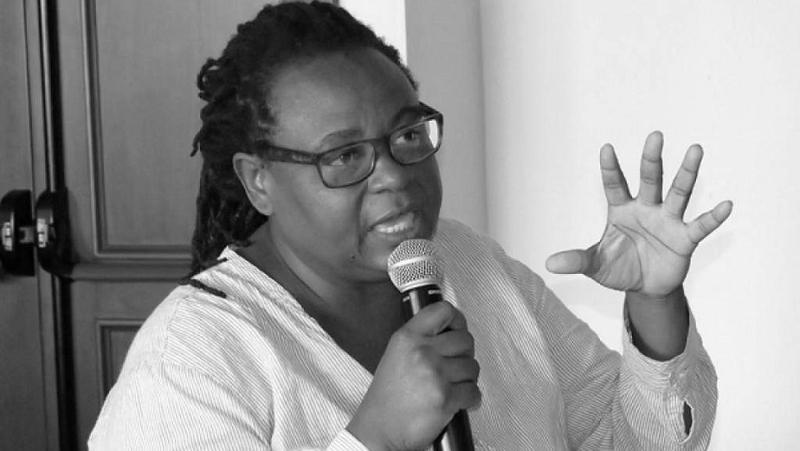 As we have reported in previous alerts, Miriam Miranda has been the target of a criminalization process due to her labor in defense of the territory and rights of the Garifuna people. The nature and severity of all the different attacks against her may differ, but include threats, judicial harassment, arbitrary arrest and kidnapping. 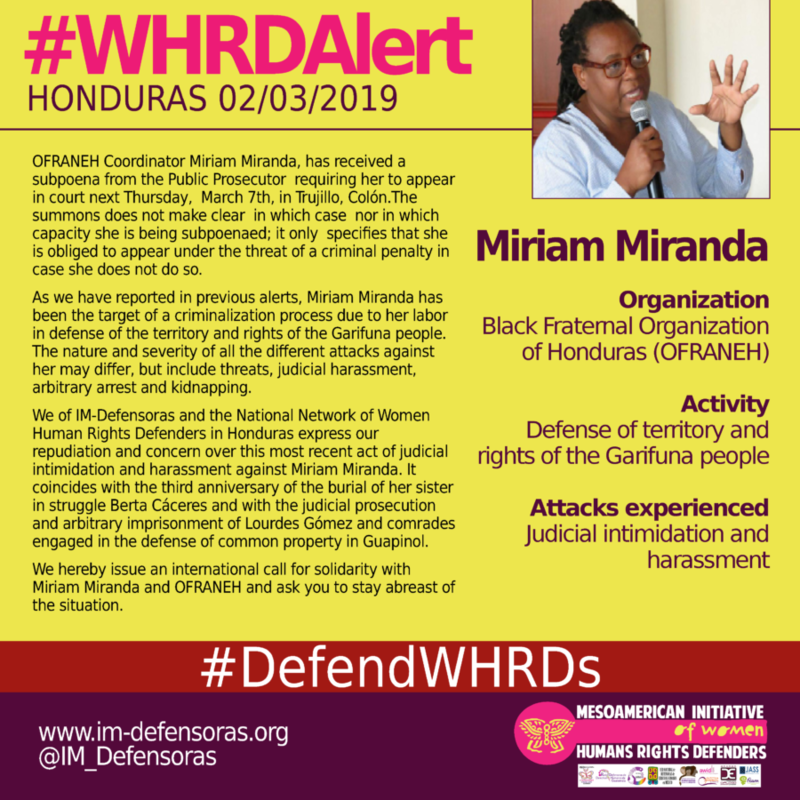 We of IM-Defensoras and the National Network of Women Human Rights Defenders in Honduras express our repudiation and concern over this most recent act of judicial intimidation and harassment against Miriam Miranda. It coincides with the third anniversary of the burial of her sister in struggle Berta Cáceres and with the judicial prosecution and arbitrary imprisonment of Lourdes Gómez and comrades engaged in the defense of common property in Guapinol. We hereby issue an international call for solidarity with Miriam Miranda and OFRANEH and ask you to stay abreast of the situation.